I don’t know about you but I love to see pieces of sculpture in a garden. They give any outdoor space an extra dimension of interest. I encourage my clients to put interesting pieces in the garden and I have some in my own patch (albeit on a pretty small scale!). 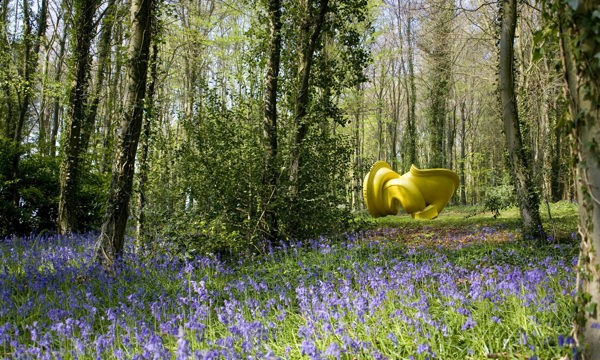 There are numerous outdoor sculpture galleries around the UK, and more and more public gardens have started putting on sculpture exhibitions over the summer which only goes to show how popular they are, and how much more open we are becoming to the idea of putting ‘art’ in the garden. One of my favourite sculpture galleries is The Garden Gallery just outside Stockbridge in Hampshire. I make an annual pilgrimage to the summer exhibition there and always enjoy what I see. This year’s exhibition ‘Echoes in the Memory’ runs until 19th July, but the gallery is open all year round by prior appointment. 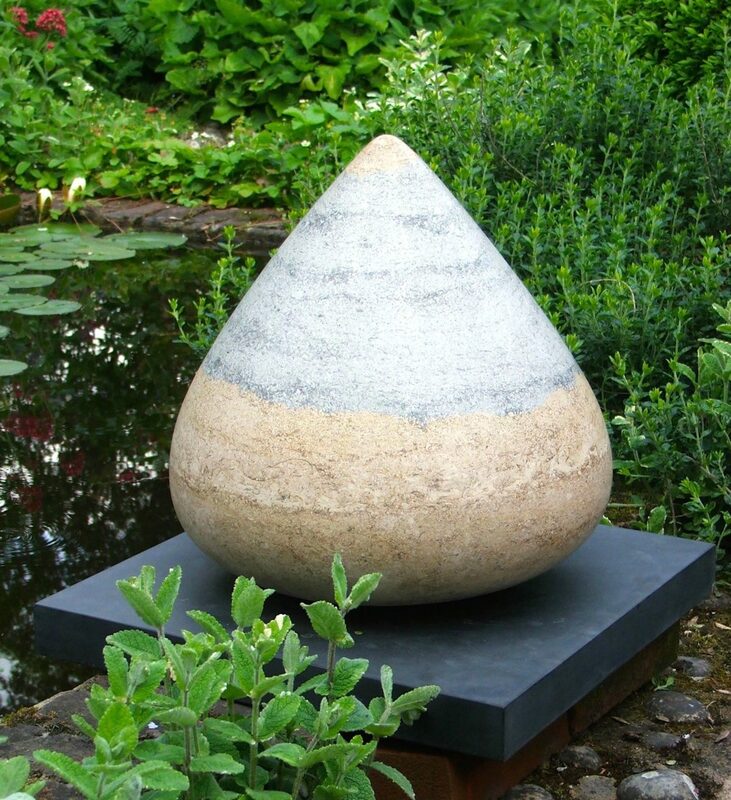 I asked Rachel Bebb, owner of the Garden Gallery, if she would be kind enough to write a short guide about what to consider when buying outdoor sculpture, and luckily for me she agreed! 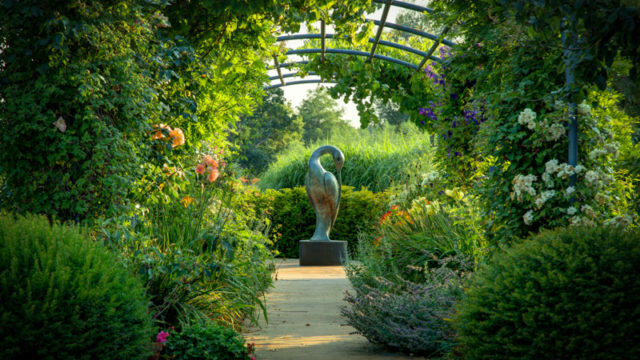 Rachel is a garden designer and has been running The Garden Gallery for 20 years so what she doesn’t know about garden sculpture isn’t worth knowing! She represents a wide range of artists working in stone, ceramic, glass and metal with exhibits both large and small. Sculpture, a beautiful ceramic pot or a finely-carved wooden bench have a life and a meaning which cannot be imbued by any manufacturing process. A lasting relationship can be established with a work of art which will grow and give pleasure for many years. In the garden, the elemental nature of stone, clay, bronze, glass and wood creates an empathy with plants and trees, land forms, water and the play of light – each can help to enhance the other. But how to choose? Where to begin? The best reason to buy a work of art for your garden is because you like it. Important considerations such as available space and budget count for nothing if you don’t feel a spark of love for your sculpture, and the relationship will be short-lived. You have seen a sculpture you like and can afford – how to place it to best advantage? You may have been looking for a focal point for the end of a pergola or to lead the gaze across a lawn, or perhaps you have been visiting sculpture gardens in search of something beautiful to give your garden that extra dimension? Three basic principles of design are harmony, unity and simplicity. A tall figure sited amongst trees can become a seemingly natural part of a woodland. 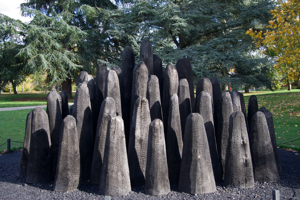 Alternatively, placed at the end of an avenue of trees or a pergola, the result is more formal, the sculpture fulfilling a design function and drawing the eye, rather than relating to its surroundings like Henry Moore’s reclining figures, microcosms of landscape. A deep niche in a shrub border on a curve in the lawn can enfold a sculpture, introducing an element of surprise. The smallest garden can accommodate sculpture – even a tall or ‘life-size’ piece will probably not have a large ‘footprint’. 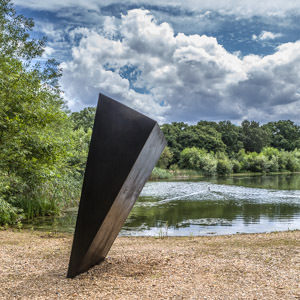 Abstract sculpture relates particularly well to dramatic plants with large leaves, such as Aralias, and those with sword-shaped leaves like Phormiums. Where the planting is gentler, sculpture can add structure and a sense of solidity. In winter, sculpture compensates for the loss of form and texture in many plants, carrying the garden through the ebb time of the year. Kinetic sculpture, or sculpture with a strong sense of ‘movement’ as in some of Charlotte Mayer’s work, associates well with ornamental grasses as they rustle in the breeze. Stainless steel complements a grey or white planting scheme, associating well with silver stems and variegated foliage. A stainless steel sculpture in a grove of white-stemmed birches can look stunning. Bronze and stone will all change over time, when sited outdoors. The various patinas of bronze can either contrast with surrounding plants, or harmonise, for example green patination against a backdrop of Aucuba japonica or variegated ivy. Carrara marble is currently popular as a medium for sculpture in the garden, looking good against a yew hedge, for example. The lovely, classic English stones, such as Ancaster, Hopton Wood and Portland, have their own ‘personalities’ and both absorb and give back light. Avoid siting bronze and stone under trees, to protect from algae and minimise stains from bird droppings. Glass is very low maintenance, just needing an occasional wash, and it reflects light, plants and trees, and sparkles on sunny frosty mornings. Remember – buy sculpture you love and look after it. Ask about the best way to maintain it. You may even think about designing your garden, or part of it, around your sculpture? Thanks to Rachel Bebb of The Garden Gallery. To find out more about this year’s Summer Exhibition, click here. I love it too. I see a HUGE opportunity in South Africa.